Hello beautiful people. My name is Tyler Kaspari. I am 5 years old, and a cancer survivor. I was just shy of 18 months old when my family noticed a bump on my stomach while we were wrestling on the floor. At my 18 month checkup, the pediatrician scheduled a follow-up ultrasound just to make sure this lump wasn’t something more. However, on the ride home from getting the ultrasound, my parents received a phone call notifying them that I had an appointment at the Oncology Department at Dayton Children’s Hospital the following morning. The next few weeks were an absolute whirlwind of tests and operations, diagnosing and preparing for treatment. 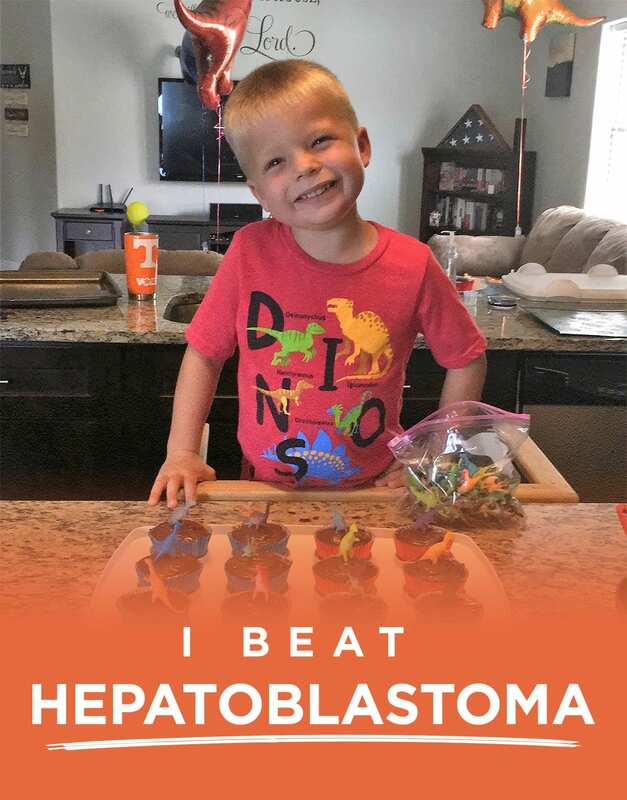 I was diagnosed with stage 3 hepatoblastoma, having a large tumor on my liver. After having a port placed, I underwent two, 4-week rounds of chemotherapy in order to shrink the tumor so the surgeon could safely remove it. Thankfully, the cancer responded well to the chemotherapy and the surgeon was able to successfully remove it, along with 70% of my liver. With a suppressed immune system from the chemotherapy, I spent almost a week in the ICU recovering from the surgery. After the tumor was removed, I again underwent two, 4-week rounds of chemotherapy to ensure there were no residual cancer cells left in my body. 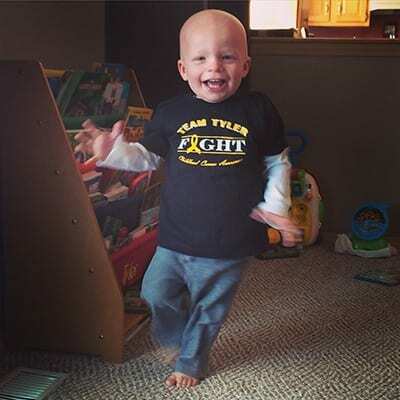 Following the final two rounds of chemotherapy and just after my second birthday, I was declared in remission! I am still in remission over three years later and my liver has fully regenerated to the normal size for a kid my age. I still have to undergo scans on a regular basis to ensure the cancer has not returned, but they have gotten less invasive as time progresses. The hearing aid I wear in my left ear as a result of the chemotherapy is a daily reminder that I survived cancer! I love playing sports, going to school, riding my bike, and playing with my friends. I am so blessed to have fully beaten cancer and to be able to be a normal kid again. I chose to be an NPCF ambassador to give those battling cancer hope and inspiration to all those fighting cancer today, and to highlight important research currently being done to find effective treatments which are less harmful and invasive to children.